Ken Szymanski, executive director of the Greater Charlotte Apartment Association, and Fulton Meachem, CEO of the Charlotte Housing Authority. 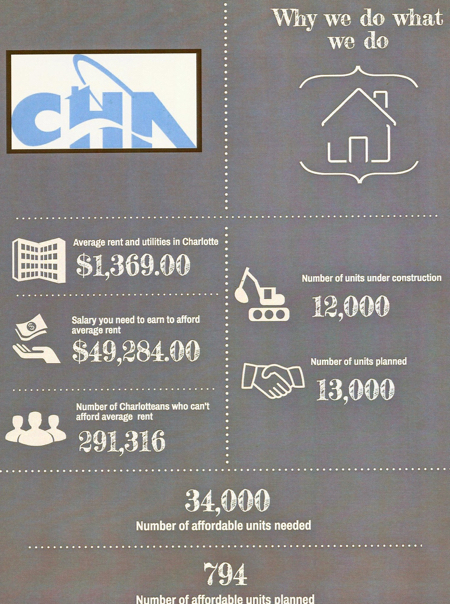 The leaders of two sources of housing in Charlotte this morning discussed the constraints and opportunities that the city faces as it continues to grapple with the lack of affordable housing for many working families in Charlotte-Mecklenburg. Fulton Meachem, CEO of the Charlotte Housing Authority, explained some of the tools the Authority has available to create public-private partnerships to build more housing, noted that old-fashioned public housing is no longer funded, and said it was imperative to end the discrimination that holders of housing vouchers face in finding a private apartment to rent in many areas of the city. Ken Szymanski, executive director of the Greater Charlotte Apartment Association, said less than a dozen companies are creating the apartment building boom, but are progressive companies trying to address the market’s needs. He emphasized that 40-year-old market-rate apartments are affordable to lower-wage workers, and keeping them in good repair is a goal of his group. Szymanski distributed and referred to an article written for the UNC Charlotte Urban Institute in February 2016 titled “In Charlotte housing debate, let’s look at underlying factors.” A PDF of that article is here. The online )version is here. 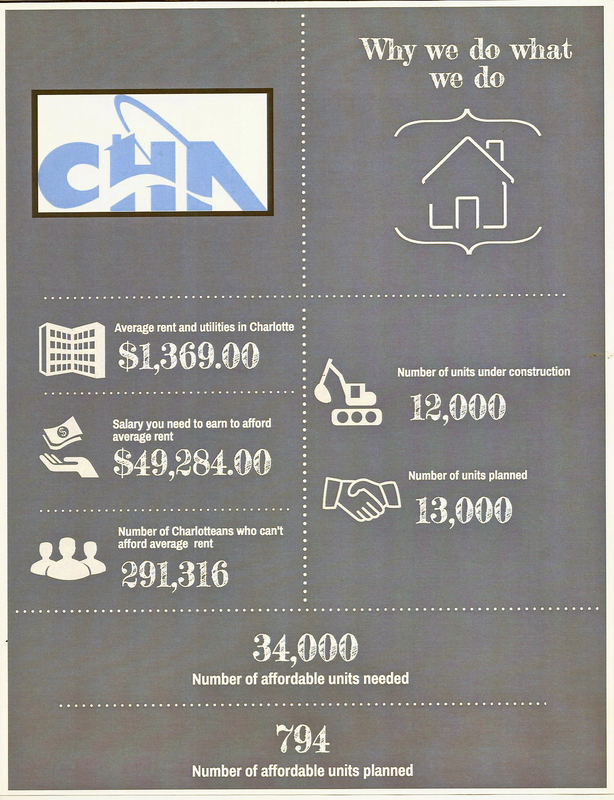 Housing authority staffers provided a flier (graphic above right). Click to download the JPG. Below is a video of the presentation and the Q&A that followed. The presentations begin at minute 8:10. Below that is the video shown during Meachem’s presentation. Housing Authority staff said the original version had been shortened for the Forum presentation. The video appears to be an edited version of an April 26, 2016 Carolina Impact video produced by WTVI. The full version is on YouTube here. Click on video below to start it.